If you’re looking for a stunning section of the Trans-Canada Trail (TCT) in Alberta to cycle visit Glenbow Ranch Provincial Park, an oasis of rolling green hills on the banks of the Bow River. While the TCT trail is completed in Glenbow Ranch there is a plan to connect Cochrane to Calgary; the only thing missing is a small strip of land near the Calgary city limits. For now the best way to get to Glenbow Ranch Provincial Park is to drive. Take Highway 1A from either Calgary or Cochrane and turn south onto Glenbow Road to reach a large parking area. Cycle a short distance on the Glenbow Trail to reach the volunteer staffed information centre and a large scale map so you can plan your bike ride. Trails are both paved and gravel so consider a mountain or hybrid bike if you’re going to cycle the gravel sections. Also note that there are approximately 30 kilometres of trails in total so there is the option to explore more than the TCT. To cycle the TCT start at the information centre with its beautiful views extending all the way to the Rocky Mountains. After a steep descent on Glenbow Trail you’ll reach an intersection. To explore the eastern section of the park continue east on the Glenbow Trail to the Narrows and ultimately the Bearspaw Trail. A good portion of this section parallels the Bow River and the railway line so trains are frequently sighted. There’s an option to do the quieter Bow River Loop where bald eagles can sometimes be seen nesting but it’s not on the TCT. The western section of the TCT is rolling and strenuous, but for short bursts only. 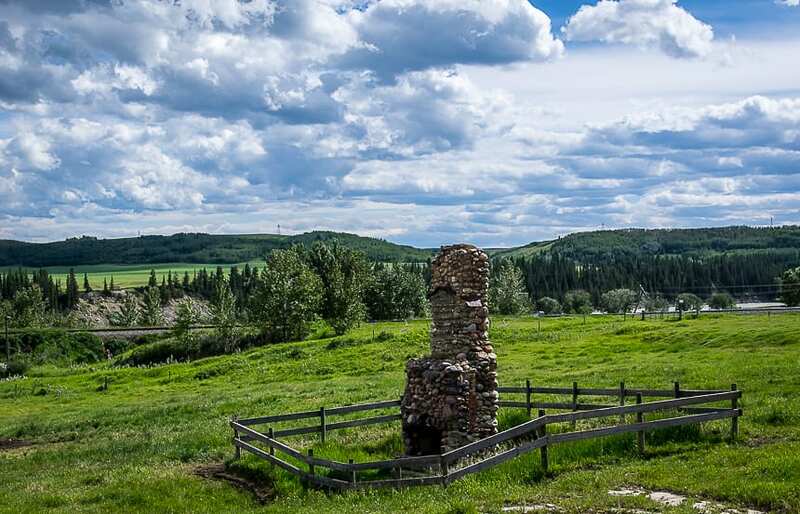 Follow the Bowbend Trail west, past wetlands habitat where you might see American coots or horned grebes to the ruins of the Waverly Chimney, remnants from one of Glenbow’s historic ranches. In short order the trail turns to gravel as it heads for Cochrane. While the trail eventually ends in Gleneagles, one of Cochrane’s neighbourhoods, the last section requires that you lift your bike over a cattle guard so for many people this is a good turn around point. Nature lovers are going to love cycling the TCT through the ranch. With native rough fescue grasslands, along with forested sections and wetlands there’s great diversity of not just plants and birds but wildlife too. At dawn or dusk keep an eye out for deer, elk, coyotes as well as badgers and weasels. And if you’re lucky and sharp eyed you might see a tiger salamander in the morning, particularly if it has rained at night. Keep an eye out for cattle as it’s a working ranch. Excellent trail maps can be found at major intersections. Take a photo of one. Go prepared with a patch kit, lots of water and warm clothing in case the winds blow up. Visit Alberta TrailNet for more information. Click on the photo below to bookmark to Pinterest.